Game of Thrones has handed us some magnificent battle sequences in the past, sequences that took all the elements of the greatest battles of history and personalised it to the nitty gritty of our beloved Westerosi characters. Mostly, these battles involve heroic, almost futile but ultimately successful last stands. Tyrion held King’s Landing against the might of Stannis Baratheon’s army, utilising pluck and guile to hold on long enough for the Lannister/Tyrell army to arrive on the scene and smash Stannis to bits. Jon held the Wall against similarly insurmountable odds, putting on a defensive masterclass that still looked doomed until Stannis and his army rode in to crush the wildling army under its heel. So we have seen this kind of bait and switch on Game of Thrones at least a couple times before, and the resolution to this battle was telegraphed long before episode nine – we’ve basically known Littlefinger and the Vale army would end the battle of the bastards with their appearance. So the only thing left was for the battle to be carried out in a way that exceeded all expectations, and to find a way to bring about a widely expected ending in a way that still manages to shock the audience. And the writers and director Miguel Sapochnik succeeded largely, filming a beautifully directed battle from the cinematic angle, and exceeding anything they’d done in scope or size as the showrunners promised before the episode. The battle was bloody, brutal, chaotic, and in many instances for Jon’s forces a simple matter of survival more than tactics – emanating from his rash pre battle decision to abandon their carefully laid trap due to the baiting of Ramsay, who murdered Rickon in cold blood – yet it still seemed to lack some final bit of oomph, at least in my eyes. Game of Thrones has shocked me viscerally many times, sometimes driving me near tears – the Red Wedding and Shireen’s burning immediately come to mind – yet that sense of despair, of sodding desolate helplessness, seemed missing for me even during the most vulnerable moments of Jon’s forces during the battle. Maybe it’s because the ending of the battle could be so easily guessed, or maybe it was because I knew Jon was not going to die; whatever the reason something seemed missing. And now I dread if Game of Thrones has not become like every other show on television? Don’t get me wrong, ‘Battle of the Bastards’ was a fantastic hour of television, and for this season is surely one of the best episodes. The ending, with the hoisting of the Stark direwolf over Winterfell again is probably the most satisfying moment in seasons, the Meereen arc for the entire episode was great, and Ramsay’s death finally saw fans being thrown a bone for their patience tolerating that animal. And from a professional standpoint it was a fantastically directed episode, but for all its glory, the battle conclusion still felt a little underwhelming. Maybe it is a little ‘damned if you do damned if you don’t for the showrunners’, who would certainly be accused of a ‘deux ex machina’ if an army came out of nowhere to save the day. But showing their hands too early also has its own problems, so the dilemma’s certainly understandable. But Bastards provided several other amazing moments before next week’s packed season finale. The episode opened in Meereen, where Tyrion’s plan to contain the Masters had gone entirely to sh*t last episode. Daenerys, who also returned last week, spent little time resolving the battle. 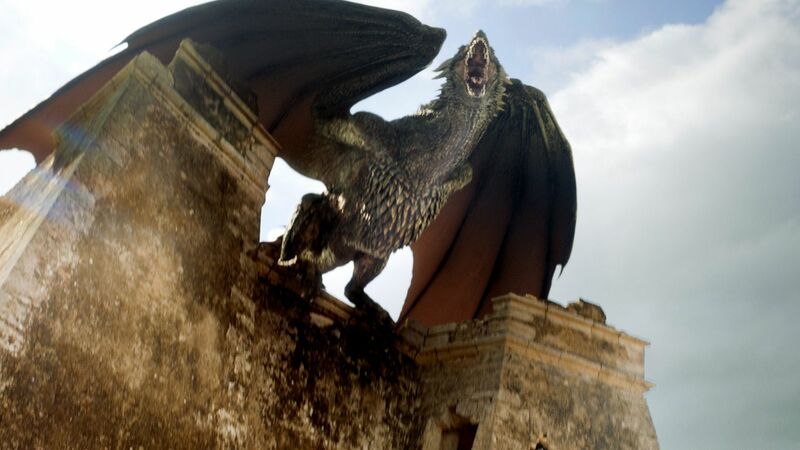 In one of the most awe inspiring moments of the entire show yet, Drogon, Rhaegal and Viserion teamed up, with Dany atop Drogon, to raze down the Master’s fleet. It didn’t take long for them to capitulate, and from entering the city for the parley with such smug confidence, they lost their lives, and the fleet didn’t take long to follow the dragon queen. 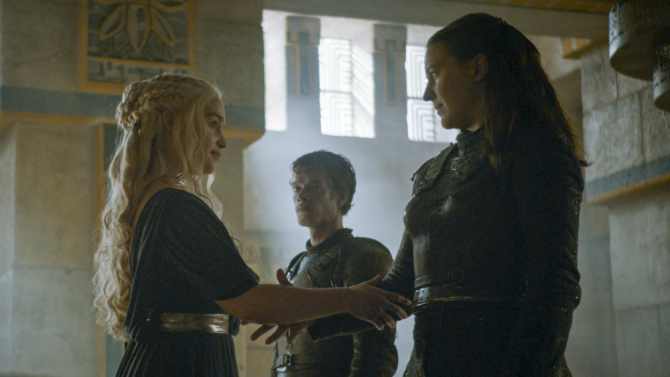 Which teed us up to the best moment the entire episode, Yara ( and Theon’s) negotiation with Daenerys for them to join her forces. Yara knew instinctively that Daenerys, like her, is a woman in a man’s world, who has certainly been looked down on and at many instances marginalised for no reason other than her s*x, so she wisely played to that. And her smugly flirtatious negotiating manner certainly endeared to Dany, as did her obvious desire to rule, men be damned. All across the internet, the perverts have started scripting their fan fiction stories involving those two in bed – we know Yara has no qualms bedding the same s*x. With the vanquishing of the Masters, Daenerys is finally free to head home, after six seasons in exile. The one thing every fan has been screaming for since at least season three, Dany’s return home is set to coincide with the possible destruction of the capital, if Cersei has her way, that is. With the Unsullied, the Dothraki horde and the Yara’s Fleet, very little would have stopped Dany when she landed, even if any opposition existed. And as we remember from last week, Varys is going to look for ‘friends’ in Westeros for their coalition, an interesting wildcard to keep an eye on. Sansa again found several ways to look clueless this episode. My first irritation with her was her insistence to Jon after the war council that her counsel was not sought, when she was standing in the bloody room the entire time. She has never been shy to give her opinions before, so I wonder why she felt she needed special permission to speak up during the war council. READ ALSO: Game Of Thrones Season 6 Episode 5 Review: Hold The Door, Please? She did give Jon good advice, which he ultimately ignored in allowing Ramsay to bait him. She has hardened, certainly, and has grown a ruthless streak – but withholding the existence of the Vale army never made sense, and still doesn’t to this day. They could have planned a more measured assault with that information in mind, minimised losses whilst still drawing the Bolton’s out to the point they could be routed. You can’t simultaneously complain about being left out of decisions when you’re carrying the biggest secret of all. Sansa’s growth has to be appreciated, with the woman she has become so drastically different from the fairy eyed snot from season’s past – but no matter how many chilling Bolton death scenes and ruthless writing off of her brother scenes the writers show us – some continually dumb decisions like keeping mum about their biggest tactical advantage before the battle continues to undercut her growth, much like the way the same army undercut the episode. Jon met Melisandre pre battle to ask not to be resurrected should he die again. It was a humanising moment for a character many complain death hasn’t affected nearly enough. It showed the conflicting demons he must be fighting internally, and the need to ensure it never happens again, at least with his permission. It’s better to stay dead than become whatever he has become, he seems to be saying. And a final Davos-Melisandre showdown has been beautifully choreographed for the finale. Davos has always suspected everything was not alright with how things went down for Stannis, and his finding of the wooden horse near the pyre confirmed his worst fears for Shireen’s fate. The next episode trailer reveal a potentially explosive fate for the Red Witch. 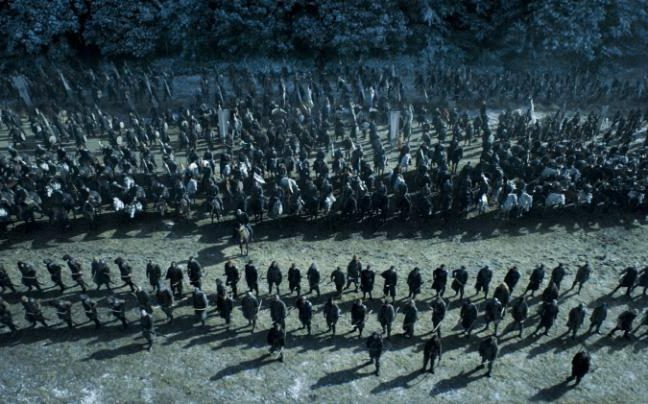 ‘Battle of the Bastards’ was undoubtedly one of the best episodes of the season, perhaps only rivalled by ‘The Door’ or ‘Home’ – and its promise to give the show’s biggest battle yet was certainly fulfilled. I wouldn’t name it as a better episode than ‘Hardhome’, again because I felt Jon was pretty much invincible and the ending was terribly predictable. But then, it has a 10/10 rating on Imdb so far, so it seems the entire world disagrees with me. Still, next week is the season finale, and with that Thrones disappears into the darkness for another ten months (for the night is dark and full of terrors.) It promises to be a packed one, the longest Thrones episode ever – and it has so many threads to tie up that it’s certain to be a blockbuster. 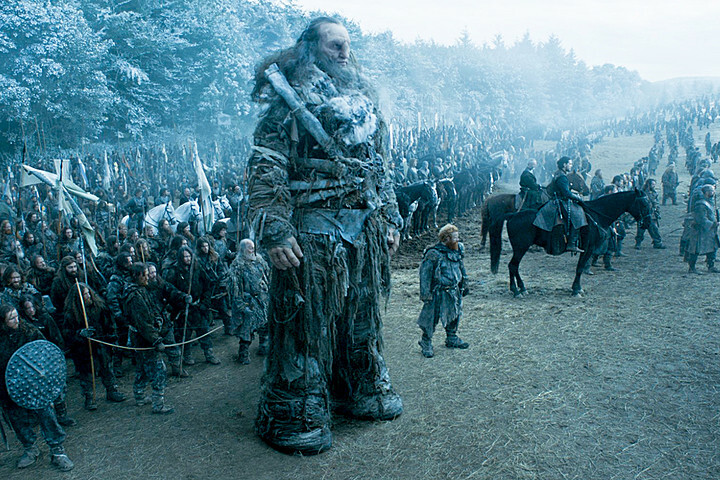 PS: RIP to Wun Weg Wun Dar Wun, the last of the giants. Check out the trailer for Season 6 Episode 10 ‘The Winds of Winter’ below….